Once again, it's Baseball Bloggers Alliance award season! It's a lot like the BBWAA award season with different names because they get litigious with their free time. The fine staff here at Off Base will guide you through our ballots over the next few days. Now up, the NL Goose Gossage or how I learned to stop rooting for blown saves and love relievers striking out the side. Like my fellow Off Base writer, Mike "I dare you to pronounce my last name" Hllwya, I like voting for a nice inning eating, dominant non-closer for reliever of the year. But the National League didn't have a Dellin Betances or Wade Davis this year. Pat Neshak or Tyler Clippard, maybe. The top closers in the NL were simply strikeout machines and deserve to be rewarded for the dominant force they displayed across baseball. Chapman only brought the heat for 54 innings (compared to 90 for Betances) but nobody brings the heat like him. 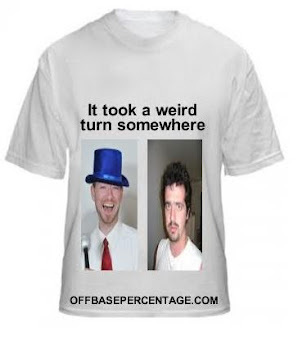 The 2.00 ERA and 0.89 FIP are nice and all but that's not why I have to wear a bib to his Fangraphs page. The 17.67 K/9 doesn't even do him justice. 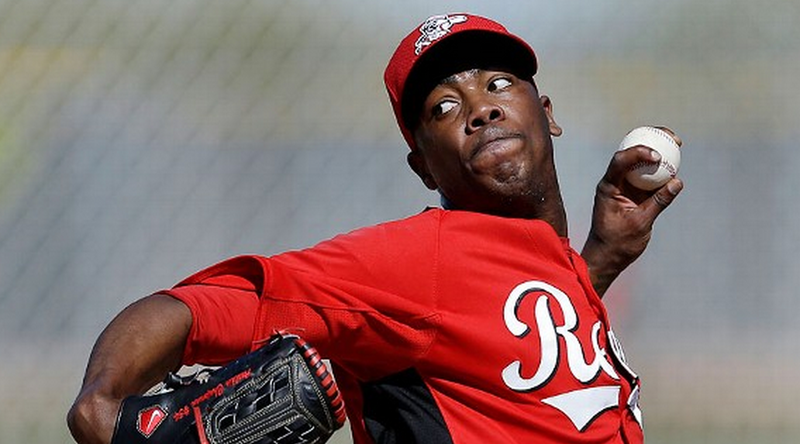 Chapman faced 202 batters in 2014 and 106 of them walked backed to the dugout trying to figure out what happened. I didn't do the research but I'm pretty sure only Henry Rowengartner had more success than that. Kimbrel recorded 47 saves, struck out 13.86 per 9 with a 1.61 ERA and 1.83 FIP. He's the reliever version of Mike Trout. It's become boring how good he is. Similar to Kimbrel, Jansen has basically been the same reliever for the past three seasons. Which is very good and dependable and not that interesting. Um, he didn't hit a batter this season. First time he didn't do that in his Major League career. Brothers didn't have the worst fWAR for NL relievers but a 5.59 ERA and 4.98 FIP didn't help his case either. Come to Colorado, you say? The air is thin, you say? Well, that might be true and Brothers was worse at home with a 6.67 ERA but the 4.50 road ERA wasn't a bucket of peaches either. With his 6.23 BB/9, I have an idea for a business venture. Rex Brothers Towing: We'll move your car and walk you home.